The vouchers are issued on first-come first-served basis as there are limited quantities. Please call us at +65 6471 2674 to make an appointment. You may also email at ps@orthopaedicsurgeon.com.sg. 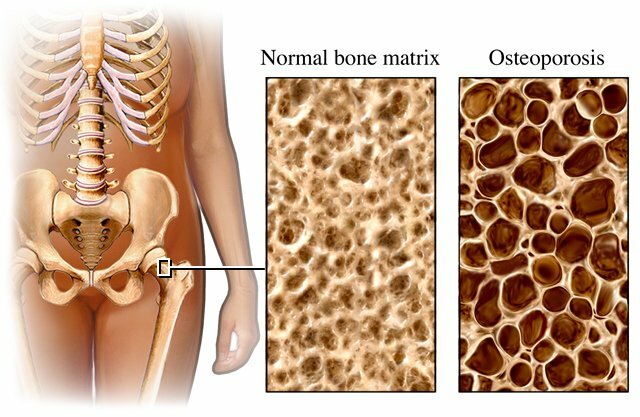 More common in women above the age of 50, osteoporosis usually comes with no symptoms and is also known as the “silent disease”. Osteoporosis is a bone disease where the bone structure gets porous and weak. Losing density and mass, bones become more prone to fractures. A reduction in mineral bone density if a normal part of aging after the age of 35. However, for some, this happens at a greater rate leading to osteoporosis. It affects women more than men on a ratio of 2:1. It is a silent condition as there are no symptoms until a fracture occurs often after a fall. Osteoporosis can affect all bones in the body, however the areas that are most prone to fractures include hip, spine and wrist. Osteoporosis – What Do We Know About It?